I’m pleased to announce Avon as the national presenting sponsor for The American Cancer Society Making Strides Against Breast Cancer program. Individually, we’ve contributed significantly to the fight, with Avon donating more than $800 million to breast cancer causes since the launch of the Avon Breast Cancer Crusade in 1992. Just imagine what we can accomplish together. A combined army of passionate Making Strides participants, along with Avon Representatives, customers, and employees will be a force for good. So join us. 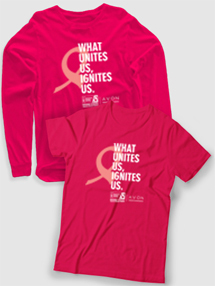 Because united, we can do more in the fight against breast cancer. Team Avon is making strides across the nation! Start or join a team in your community and together, we will raise money and help save more lives from breast cancer. More than $62 Million is currently invested in breast cancer research grants. In 2016, we provided more than 335,000 rides to and from treatment. Last year patient navigators helped guide nearly 45,000 patients through the health care system. More than 11,000 one-on-one support services were provided to breast cancer patients in 2016. More than 36,000 women learned how to manage the appearance-related side effects of treatment. AVON WILL DONATE 20% of net profits from Breast Cancer fundraising products – up to $1 million during 2018 – to support the Avon Breast Cancer Crusade programs across the U.S.